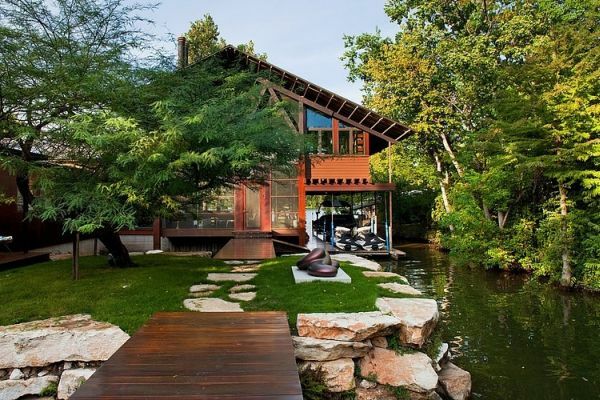 Lakefront properties are also beautiful simply because of their location. The landscape here is very nicely balanced. The water features are ever missing and they add charm to the whole design. In the case of this property, the landscape and everything else the site had to offer was used in a modern and creative way.